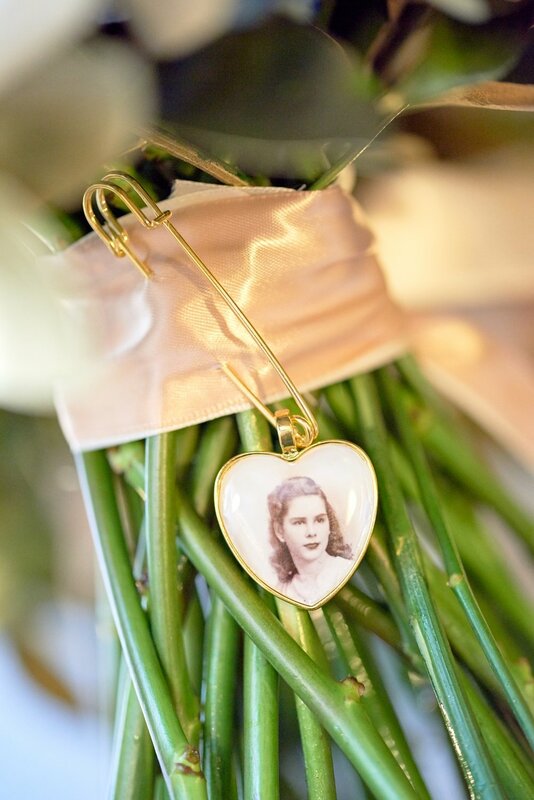 They were married at the beautiful Sterling Hotel in Sacramento, California. The excitement was high as the wedding party got ready. 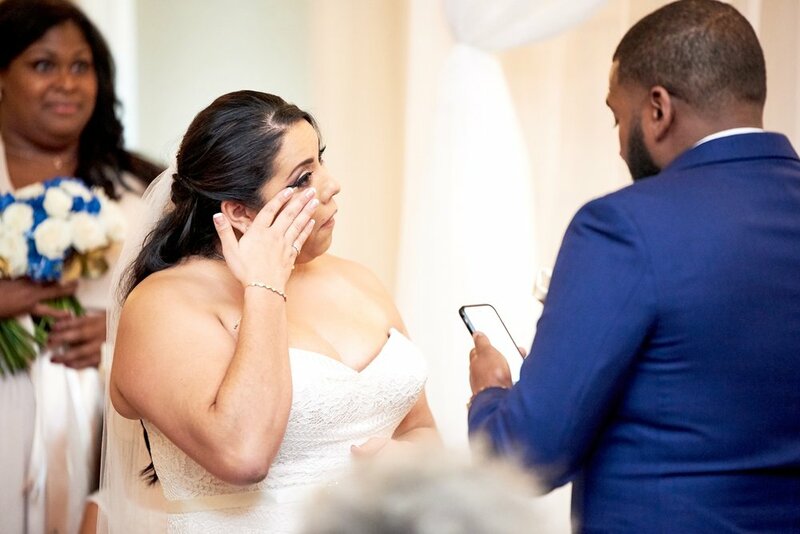 Stephanie wore a beautiful strapless dress overlaid with lace and fabric buttons lining the back accompanied with a long flowing veil and champagne colored heels. Her something blue was found not only in her garter but also her bouquet, amazingly created by Wild Flowers Design Group. 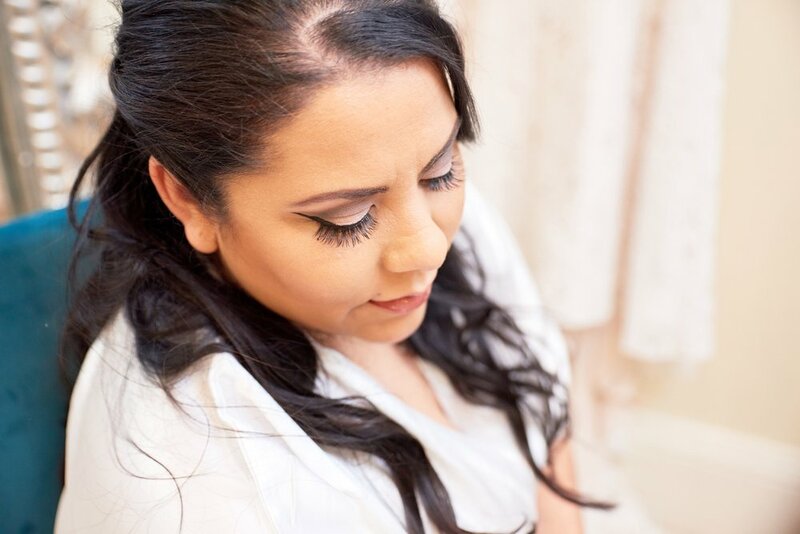 Her elegant bridal hair and makeup was done by Lesley Gutierrez (Cerise Salon). 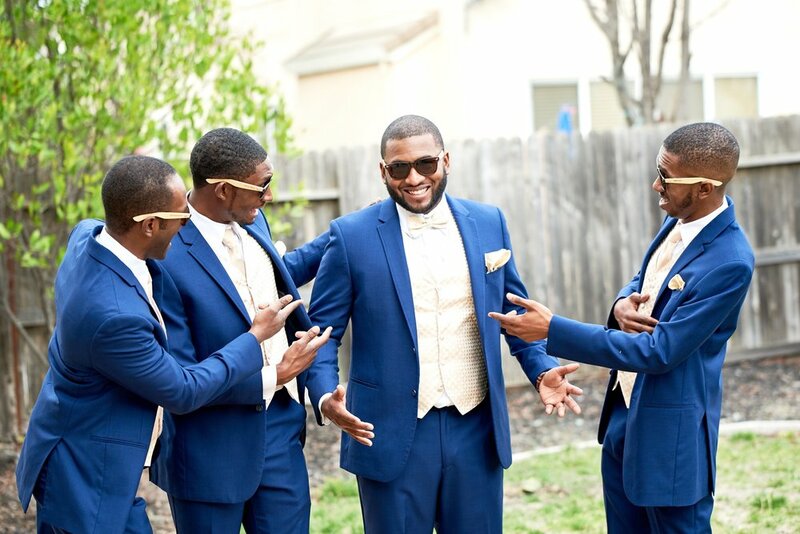 Hakim and his groomsmen were finely dressed in blue three piece suits with champagne colored vests. 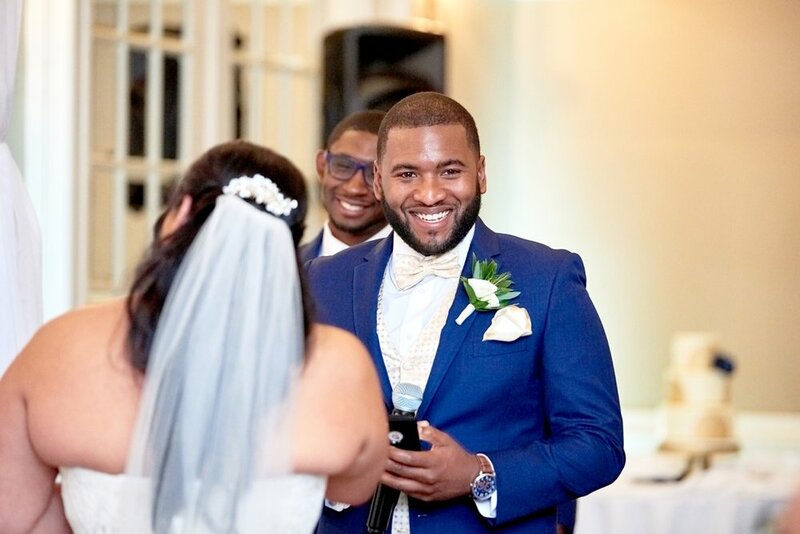 His groomsmen wore champagne colored neckties and Hakim wore a champagne colored bow tie. 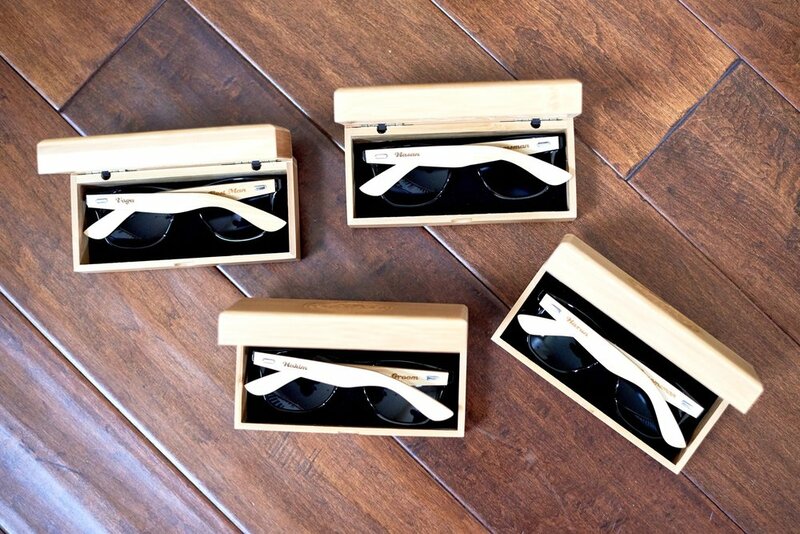 They all had custom sunglasses that also came with their names carved into the wood cases. 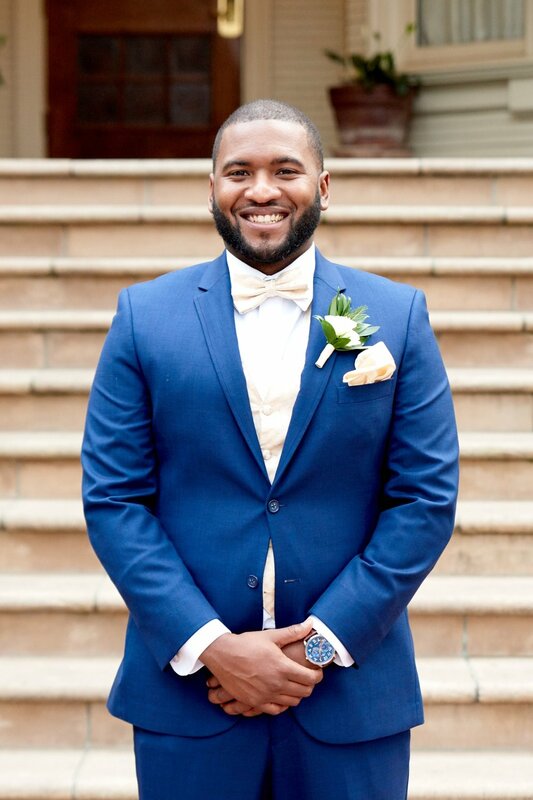 Hakim’s boutonniere was also created by Wild Flower Design Group. 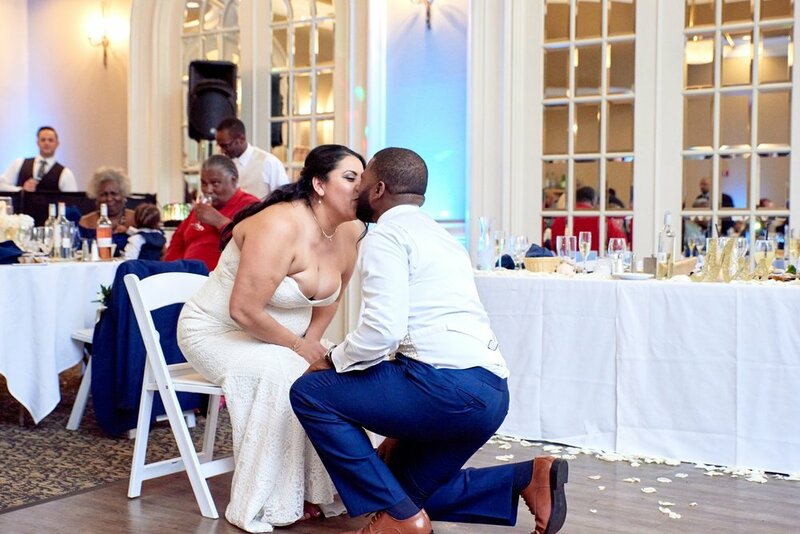 Their ceremony was in the Ballroom of the Sterling Hotel. 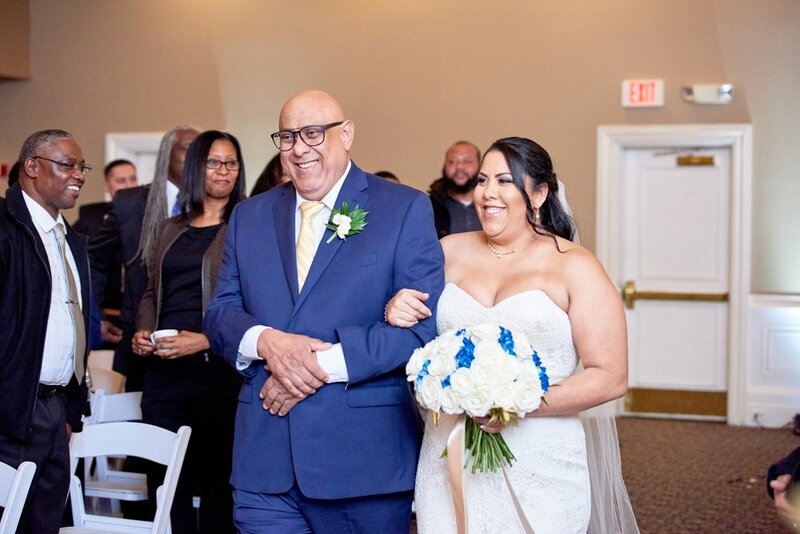 Rose petals lined the aisle as Stephanie and her father walked down to Hakim as he waited to see his bride. 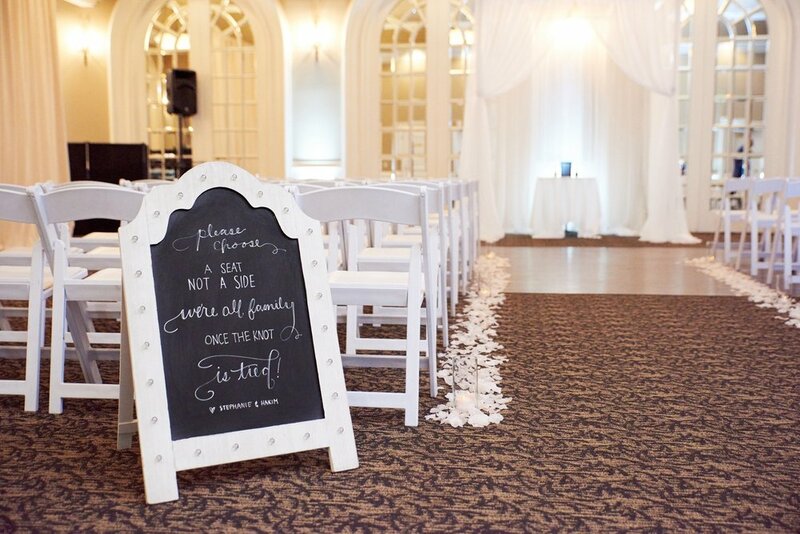 Their friend, Alexandra, officiated their ceremony and they read their vows personally written to one another. Stephanie’s daughter, Tatiana, participated in the beautiful sand ceremony, displaying their bond as a family. 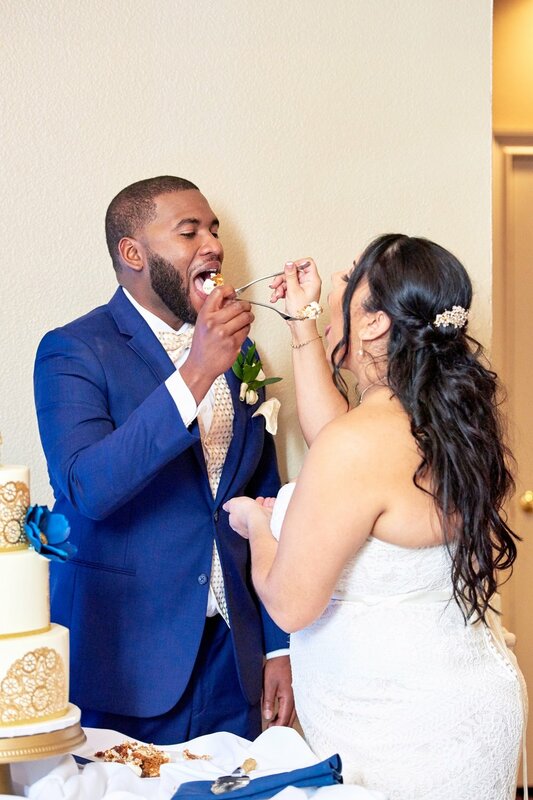 After their first kiss as husband and wife, they jumped the broom and walked down the aisle on their way in this new journey and season in life. Stephanie’s maid of honor, Kamaiya, has been her friend since kindergarten. So naturally, when Hakim married Stephanie, that included Kamaiya and her contagiously fun personality to be part of everything from the wedding party to…things like playing under the veil during portraits! Hehe! During portraits and the cocktail hour on the patio, the ballroom was magically transformed into their reception. 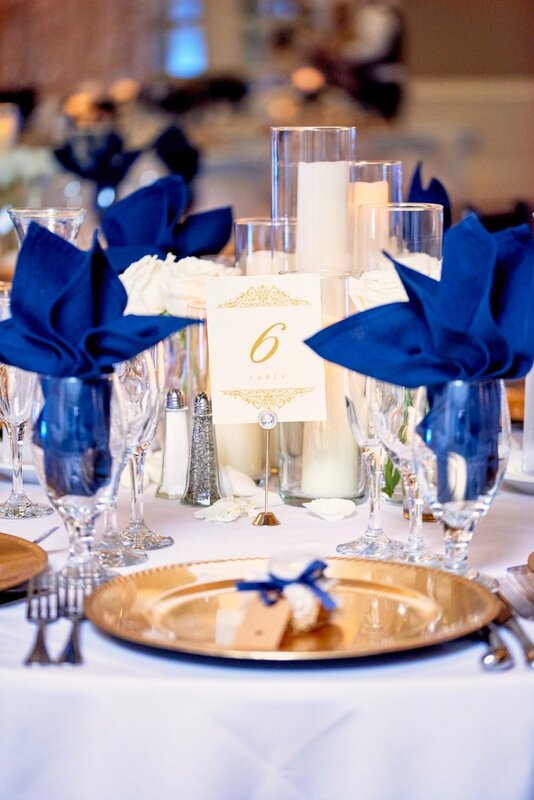 Their navy and champagne wedding color were perfectly sprinkled through the decor of their reception, complete with awesome little honey jar favors made by Stephanie and her bridesmaids! 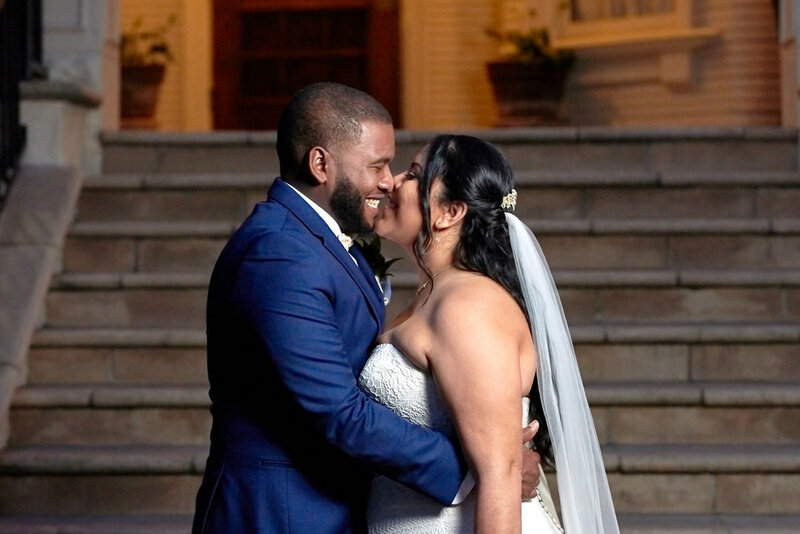 Their first dance was to Daniel Cesar’s Best Part (featuring H.E.R). When it came time for the Father-Daughter Dance, as Stephanie’s father came to the dance floor and Hakim also brought out Tatiana. 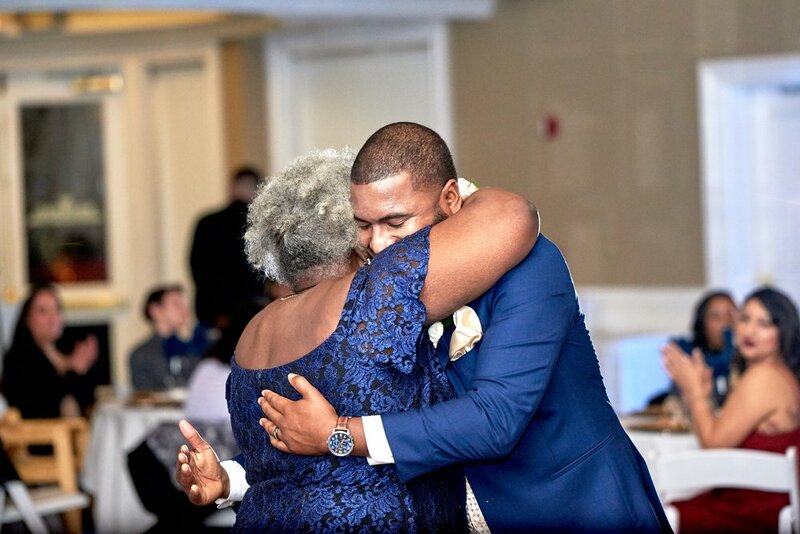 The Mother-Son Dance came next a Hakim so sweetly lead his mother in slow dance. 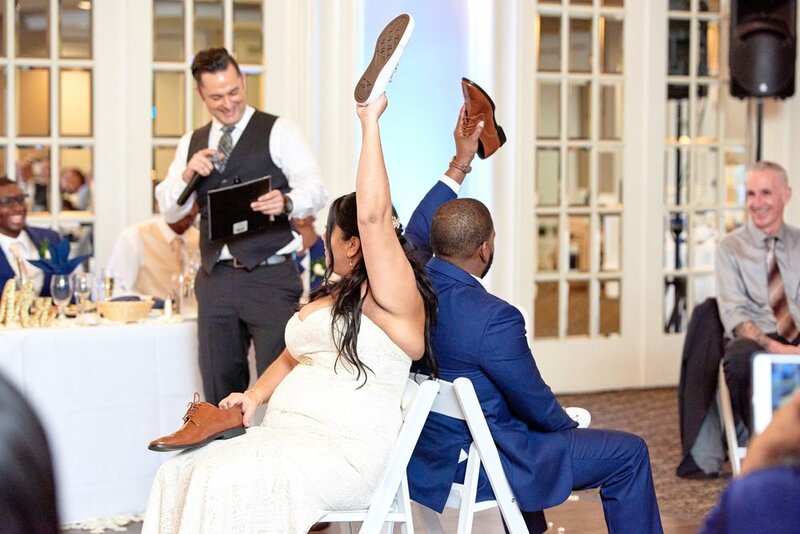 The shoe game involved them giving each other one of their shoes. 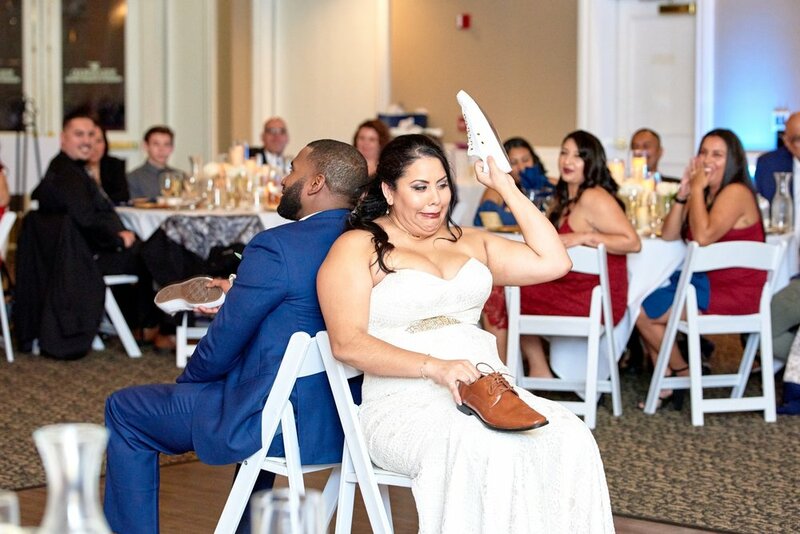 Then DJ Preston Murray asked questions such as “Who is the better cook?” and Stephanie and Hakim would hold up the shoe of the person they felt best fit. It definitely made for some great fun and laughter! 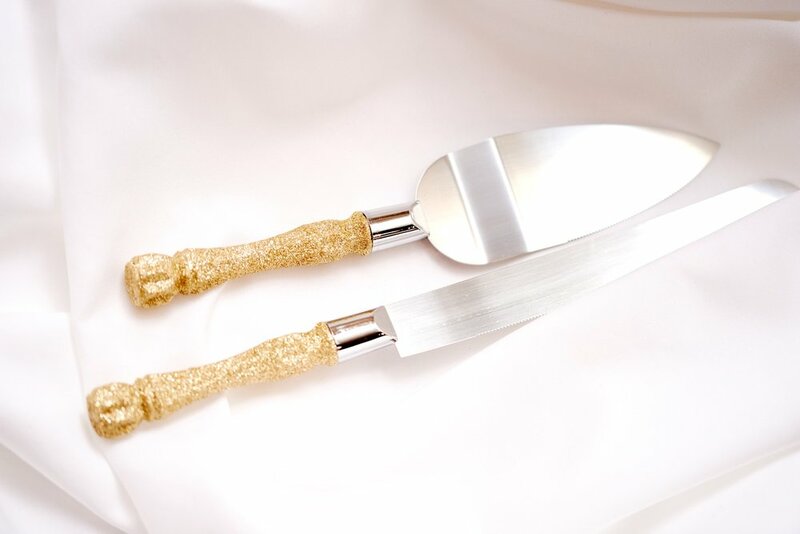 Their gorgeous three tiered wedding cake was created by Karen’s Bakery Cafe & Catering and topped with champagne glittery bears, matching the glittery champagne handles of their serving utensils. 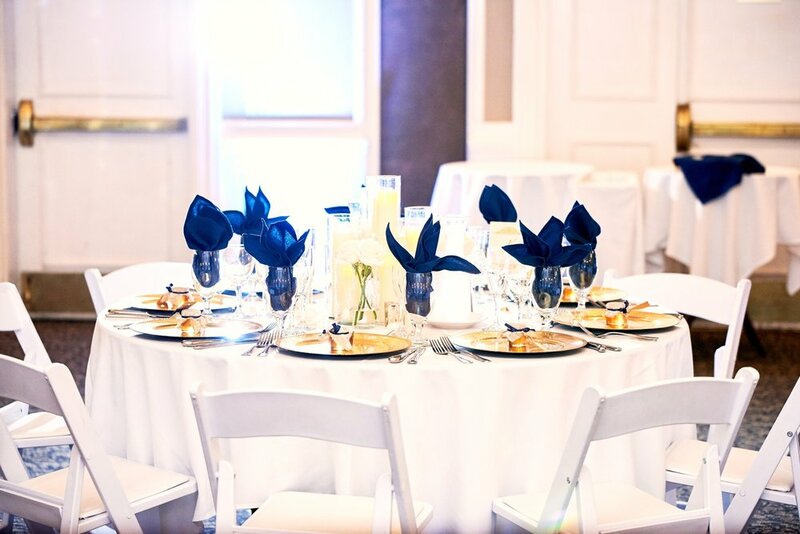 The hint of color with their navy flower beautifully accented their cake. 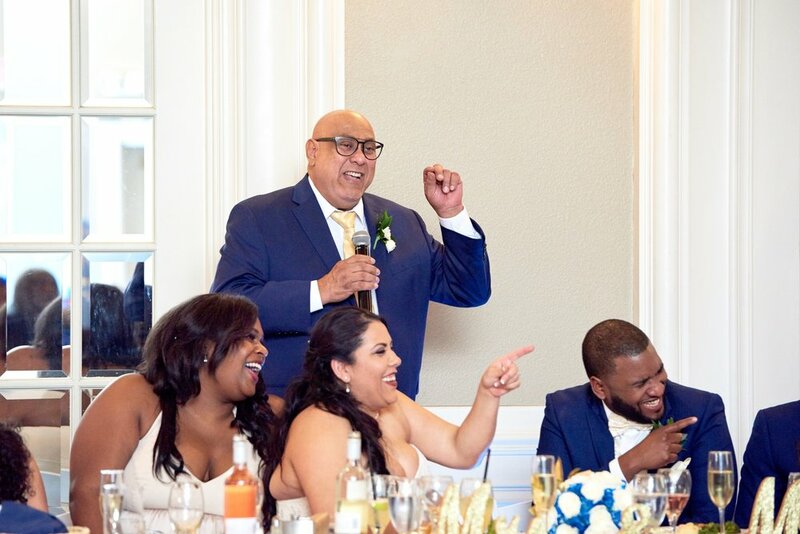 DJ Preston Murray got the dancing going and the Taylors and their guests jumped right in! Congratulations Mr. & Mrs. Taylor!!! Krystal Craven a San Francisco Bay Area wedding photographer and can be reached at kc@krystalcraven.com.